Gameplay on the Superman scratch card is simple: scratch away panels to reveal the nine hidden symbols. Match three of the same symbols anywhere on the card and you will win a cash prize. 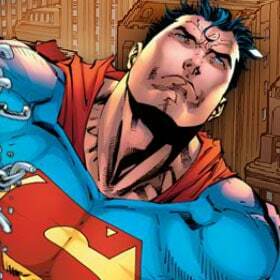 Is it a bird, is it a plane, NO… it’s Superman! Sorry couldn’t help myself but it’s not often you get the chance to say those famous lines. It’s not often you get to take on the first and best comic book superhero either but with Ladbrokes Games’ Superman scratch card you can. 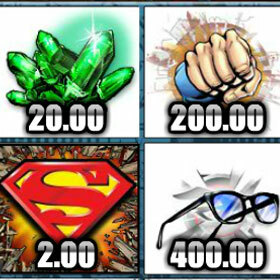 Travel to Metropolis where you could win up to x200 your initial stake and meet Lex Luthor or Lois Lane along the way. Graphics on this scratch card are great but then why shouldn't they be when they come from DC Comics who have been producing fantastic artworks for years and years! 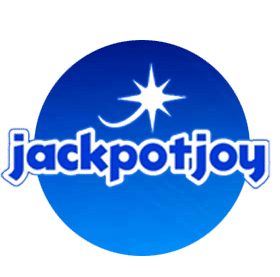 Just how much you can win is dependent on how much you set your stake before playing and with a maximum of £1000 you could be in for a £200,000 Jackpot. Superman Scratch Card is a really simple but fun online game but don’t just take my word for it give it a go today! 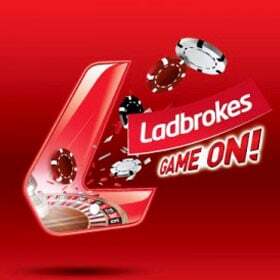 Play this scratch card and many more like it at Ladbrokes Casino & Games online. 18+. Min deposit £10. 100% deposit match bonus up to £100. Only 1 bonus per person. 40X wag'ing reqs (bonus only) on selected Live Casino games. Bets covering 70% or more of Roulette table don't count to wag'ing. Bonus valid for 7 days (bonus and winnings removed). T&Cs Apply. New members only, opt in required. Min £10 deposit and wager. Spins on Double Bubble only. Bingo game restrictions apply – £50 value on 25p tickets. 30 day expiry from opt in. Rules apply. Please Play Responsibly. BeGambleAware.org +18.